The best candy I have ever eaten! As soon as I saw the chocolate sloop, my heart filled! I love this candy! My mom bought them for us for special occasions and would allow us a few each. Then I found her stash and realized that she had kept a good sized box for herself. Guess what? I am now the Mom! 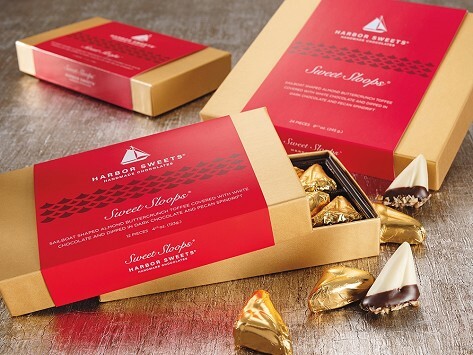 I have sent these lovely chocolates several times as gifts. The recipients always love them! delicious may have to order more. The selections have grown—now there are unique equestrian-themed treats in addition to the nautically inspired sweets, for example. Yet the vibe of Harbor Sweets is refreshingly unchanged. The company ships its handmade goodies all over the country while remaining a friendly, fiercely independent treasure on the Salem waterfront.